Sports fans enjoy Christmas way more than your average Joe because there are so many cool “sports” gifts that they can get in their Christmas stocking. Sports fans are crazy about sports stuff and they seem to have that “more more more… it isn’t enough” spirit. So it shouldn’t be too hard to pick something out for your dad who is a big Green Bay Packers fan, because he’ll probably get excited over a plain green and yellow pencil sharpener. 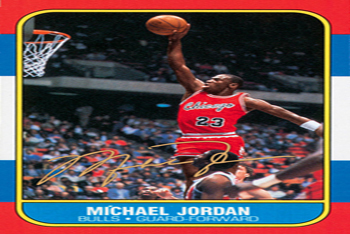 But just in case you really want to wow your sports fans, here is Kidzworld’s top 10 gifts for sports lovers. 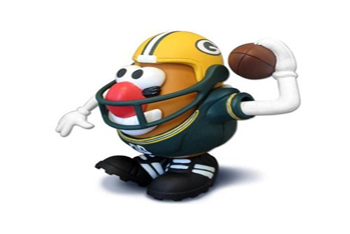 This NFL Potato Head is not just for kids ages 6-10. I’m sure your papa would definitely put this on his desk at the office. 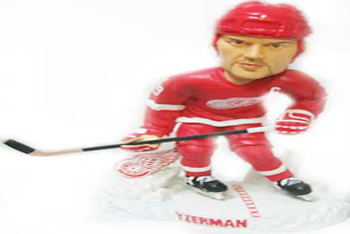 Pro Athlete bobble heads have not lost their trendy status yet. 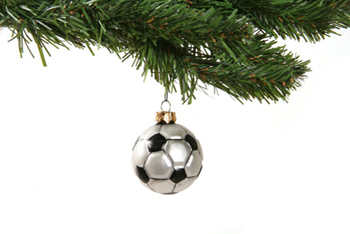 As long as you get a favorite player, you’re on very safe ground to make someone smile this Christmas. 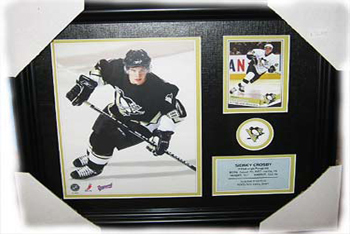 A nice framed picture or painting of your special someone’s favorite player is something that can’t go wrong. Throw in some cool stats and decorate it yourself for that unique personal touch. A subscription to Sports Illustrated is a nice easy gift to get. All you do is sign up for it on the internet and they send the rest in the mail. This might not be easy but if you can find a favorite player rookie card, you might make someone’s Christmas the best day of their lives. If you need to get something like a stocking stuffer or just something on a low budget, a button, pin or a patch is a really cool gift. Just make sure it isn’t too flashy and out of control. Small and simple is the way to go. 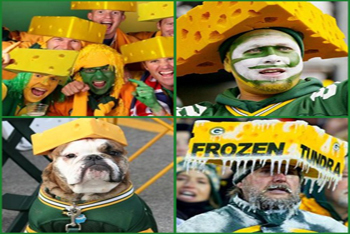 The Green Bay Packers have more fans than any other team, so there is no shortage of cheeseheads. 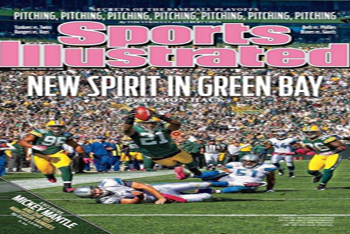 This is the ultimate gift for a Packer fan to make a complete fool of themselves… which they love to do. 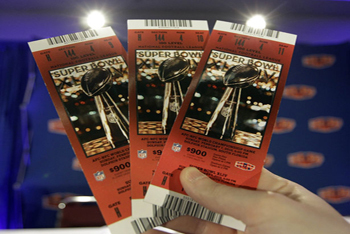 A true sports fan doesn’t need anything more than to be at the game, so buy some tickets to a local game. It doesn’t have to be Super Bowl tickets and they don’t have to be in the front row… but make sure you get an extra ticket for yourself to join in on the fun. Hands down the best collection of sports movies is ESPN’s 30 for 30 documentaries. 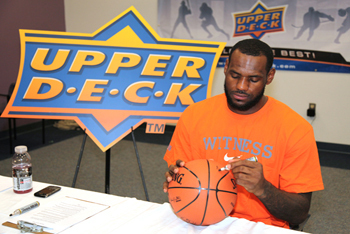 If you are broke for Christmas, an autograph is the best present and it's free so don’t even sweat it. What you do is go to your local team’s practice, gametime, or airport arrival time and wait for a player to show up and get them to sign something. 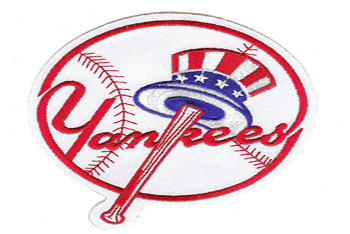 Do you know any great gifts for sports fans? 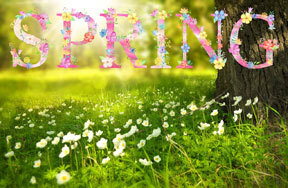 Make sure to comment below to let us know! Fave Kind of Sports Video Game? Vote! I love baseball video games.